We have musical fashions. Hip hop, Motown, the Beatles. New fads create multimillion dollar sales as albums go platinum. Music and film are a major industry. I remember when I was in eighth grade and the mini skirt went out of fashion. It was like a rainstorm, with scattered raindrops adding up to a shower. In September, one girl wore a "midi". By January, miniskirts were a rarity. The political world is as much a slave to fashion as the worlds of music and clothing. The unrest in Iran continues as before. demonstartors are being shot. Ahmadinejad's stooges are trying to terrorise Iran into submission But the TV cameramen have their lenses trained on Honduras. Manuel Zelaya, who looks a like Groucho Marx retread without the laughs is the latest cause celebre of the ditzerati from Hollywood to Greenwich Village. Much has been made of the fact that he was removed from office by the Honduran military. What is overlooked is that he was removed by order of the Honduran Congress. The military was performing a constitutional function. Zelaya was determined to have broken Honduran laws, including those against drug dealing. The Honduran legal system is working its course. Despite this, the Organisation of American States (OAS) , once condemned by Fidel Castro as a tool of US imperialism is still a Yankee Tool. But this time, the Honduran people are getting their marching orders from Obama and others who have decided that Manuel Zelaya is in vogue. Perhaps if we can keep our focus on Honduras, the disturbing news coming out of Iran will go away. Perhaps the rioting Uighurs in China will stop bothering Chairman Mao's heirs so we can keep breaking American workers with cheap Chinese labour. I mean, Obama's Cairo speech felt so mellow. It was like a beer buzz on a summer evening. It was sooo cool. But all this bummer news from the Islamic world is just messing up that peaceful easy feeling. We need to pick the right stories to frame Obama's Cairo speech so it will be a classic. The world is a complicated place. We need deep thinkers like Barbara Streisand and Alec Baldwin to make sense of it all. There was never any world problem that couldn't be solved with a smart Alec and some B.S. I can't remember the comedian who didn't like the x rays his doctor was showing him. He didn't want an operation. The doctor said, "No problem. I'll touch up the X Rays." For Americans, we have the cure for all of the world's problems. We switch the channel. Forget about Iran. Forget about actually discussing and solving economic problems. Let's talk about Michael Jackson. Those smart people who bring us all that great music must know about world politics too. Right? In our small world, Iran's problems will affect us at the gas pump and possibly with attempts at terrorism on American soil. If Honduras gets its hand picked dictator, we will have refugees from the turmoil up in Los Angeles in six weeks. But this talk is like such a downer. I mean, we haven't even buried Michael Jackson yet. Let the Iranian demonstrators wait a few months until some slow news day when we are really bored. OK I'm sorry. I have a few story lines I could kick around to pander to popular tastes. Here are some headlines. 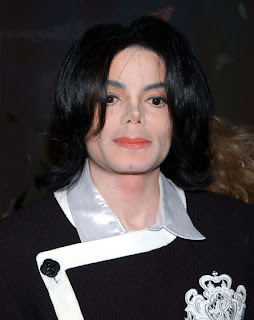 "Michael Jackson's Coffin Brought to Prominent San Francisco Taxidermist." "Ruth Madoff Bares All For Hustler Magazine." "HBO" Changes its Name to BHO." "President Obama Launches New Deodorant With His Initials"
"Feminists Picket 4H Club for Use of Hoes." That's it. I'll pander to popular tastes and see if I can slip in some serious stories. Kind of like slipping healthy vegetables into the lasagna. I hope it works.